One of the most exciting days in the football calendar has once again been and gone! The question was, would Jim White and the Sky Sports News yellow attire steal the show or would the signings do the talking? The transfer window has already thrown up some interesting moves, most notably at Chelsea. Gonzalo Higuaín coming in to replace misfiring Alvaro Morata seems to not have worked at Bournemouth. Only time will tell if Chelsea made the right choice. Furthermore, the big money signing of Christian Pulisic grabbed the headlines earlier this month, leading to suggestions of Callum Hudson-Odoi exiting the club that would later be dismissed by Maurizio Sarri. Chelsea weren’t finished with their striker swaps: Michy Batshuayi left The Blues on loan to join a formidable front 3 with Wilfred Zaha and Andros Townsend at Crystal Palace. Batshuayi hit the ground running for Dortmund this season, scoring 12 goals in just 10 games. The Belgian’s form has dried up since he joined Valencia, perhaps showing why he hasn’t been chosen as Chelsea’s number 9. The most notable addition from the top 6 this deadline day is the loan signing of Denis Suarez to Arsenal. The Gunners have the option to buy the Spaniard at the end of the season. With woeful defensive performances hindering Unai Emery’s transformation of the club, it is a wonder why Arsenal decided to invest in a creator rather than a player to sure up the back. Arsenal were also linked with the likes of Yannik Carrasco and Ivan Perisic, but it was PSG that missed out on the most opportunities. Both Willian and Idrissa Gueye were linked with the French giants, Everton even rejected a bid of over £26 million for Gueye. These rejected bids made by the richest club in France show the strength and depth of the Premier League. Manchester City, however, also displayed that they are intent on winning future Premier League titles with the signing of 19-year-old Ante Palaversa from Croatian side Hjduk Split, showing City’s scouts are searching far and wide for Pep Guardiola. Wolves fans will be delighted that they have made Jonny Castro Otto a permanent squad member for £18 million. He, alongside many others, has been instrumental in the newly promoted sides success this season. While Wolves have been going from strength to strength, the same can’t be said for struggling Cardiff. However, a statement of intent has been made clear by the signings of Danny Williams and Leandro Bacuna, the latter sure to bring some much-needed Premier League experience to The Bluebirds. Also desperate for points at the bottom, Fulham have brought in Harvard Nordtveit from Hoffenheim. The Norweigan defensive midfielder has played in the Premier League before, with 16 appearances for West Ham, the 28-year-old was also involved in the Arsenal set up but never made an appearance for the club. The move is not surprising as Claudio Ranieri needs to sort out the amount of goals Fulham have been conceding, especially in the first half of the season. However, this perhaps shows a lack of faith in Jean Michael Seri who has been underperforming after Fulham managed to sway him away from the likes of Barcelona in the summer. Bottom-half Brighton also added to their 25-man squad with the likes of Tudor-Cristian Baluta and Jan Mlakar. Chris Hughton evidently feels he needed to improve both ends of the pitch to propel themselves even further away from the relegation scrap. The return of the one and only Peter Crouch is brilliant news for any fan of the Premier League, especially those at Burnley. Sean Dyche will be hoping the 38-year-old is able to grab a few crucial goals in their fight for survival. However, with Sam Vokes heading the other way, questions will be asked about Burnley’s attack and if it is strong enough to avoid relegation. The story of the day goes to Newcastle, if not Jim White and Natalie Sawyer. Any fresh face at all at St James’ Park in February would have been enough for most Newcastle fans, making two deadline deals even more impressive. 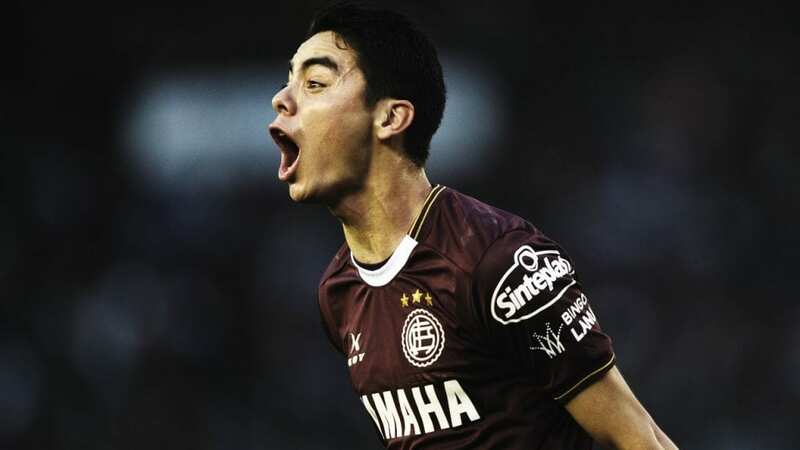 Mike Ashley seems to have finally let Rafa Benitez splash the cash as Newcastle unveiled that Miguel Almiron would join the club for a record fee of £21 million pound, breaking the previos record triggered by Michael Owen’s arrival back in 2005. Almiron will be joined by AS Monaco full-back Antonio Barreca. Monaco have been extremely busy in their business with multiple Premier League clubs, surely in reaction to their horrendous campaign that doesn’t look like improving any time soon. Their loan swap with Leicester that saw Adrien Silva replaced by the highly anticipated Youri Tielemans could be a huge boost for The Foxes’ push for European football. Elsewhere, a whole host of players have left Premier League clubs on loan deals abroad. Reece Oxford and Emile Smith Rowe will be enjoying the rest of their season in Germany at Augsburg and Leipzig respectively. Also, Tottenham’s Georges-Kevin NKoudou has joined AS Monaco. Transfer deadline day doesn’t only belong to the Premier League. West Brom’s triple addition of Jeff Montero, Jacob Murphy and Stefan Johansen could be instrumental in their title challenge. Also, Leo Bonatini to Nottingham Forest could be a great move for both parties. The striker proved a great success last season in the Championship but hasn’t been able to hit the same kind of form this year. Finally, Marouane Fellani will be moving to China if he can agree personal terms with Shandong Luneng. However, it’s not all bad news for United fans as Anthony Martial has extended his contract which promises many years of Premier League opportunity for him. With the Premier League hotting up in the fight for survival, Europe, and the title, this transfer window will surely prove as a make or break for many of the team’s seasons. Only time will tell what impact the business done this January has on the final standings.